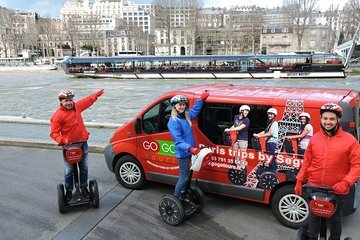 Erleben Sie Paris mit dem Segway und unternehmen Sie anschließend eine gemütliche Bootsfahrt entlang der Seine. Fahren Sie mit einem selbstbalancierenden elektrischen Stand-Up-Fahrzeug durch die Straßen von Paris und folgen Sie Ihrem Reiseführer, um einige der wichtigsten Sehenswürdigkeiten der Stadt wie die Champs Elysses, den Arc de Triomphe und den Eiffelturm zu sehen. Überraschen Sie schnell den Boden, während Sie entlang der Bürgersteige rasen und zoomen, und lernen Sie dabei die verschiedenen Sehenswürdigkeiten kennen. Anschließend sehen Sie die "Stadt der Lichter" von einem völlig neuen Aussichtspunkt aus mit einer Bootsfahrt entlang der Seine, der wichtigsten kommerziellen Wasserstraße von Paris. Die neunzigminütige Tour mit Attraktionen ist an jedem beliebigen Tag eine Bootstour. AMAZING! One of the best parts of vacation. We did a private family tour so just the 4 of us so our tour guide was able to personalize the tour to what he thought we would enjoy the most. The history of the city was great! And we got to see areas that we wouldn't have gone to otherwise on the segways. We use our river cruise at sunset and got to see the Eiffel Tower as it lit up from the cruise. Also amazing. Highly recommend this tour combination and company. Such fun - and a brilliant way to see a city, next time we will do a 3 hour one. Booked for a group of 6 friends having a farewell weekend in Paris and it was such brilliant. I had done one yeas ago in chicago but hadn't remembered how much fun it was. Place was easy to find, friendly staff, tour guide was great and the segway's themselves were well maintained. I would recommend this tour to anyone. super fun way to see the city. had a blast! would do it again! I'm really glad we did this on the last day, it was the highlight of my son's trip to Paris. We did the 90 min tour and it was over in no time.  Everyone at Go Go Tours was super: friendly, accommodating, and professional. Our guide was awesome, very aware, and managed to find the perfect mix of facts, anecdotes, and fun to keep us both but most importantly the boy interested and engaged.